When I was in LA a few months back, I was lucky enough to check out good friend, and vegan track sprinter, Jack Lindquist's new Ritte Racing x Moth Attack track frame. 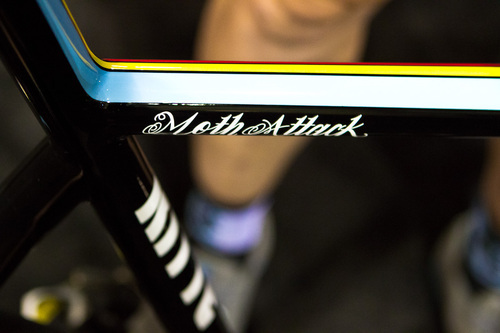 Jack's girlfriend, Megan Dean, is the brains and the brawn behind Moth Attack, an LA-based framebuilding company specializing in "lugged and fillet-brazed steel frame sets." 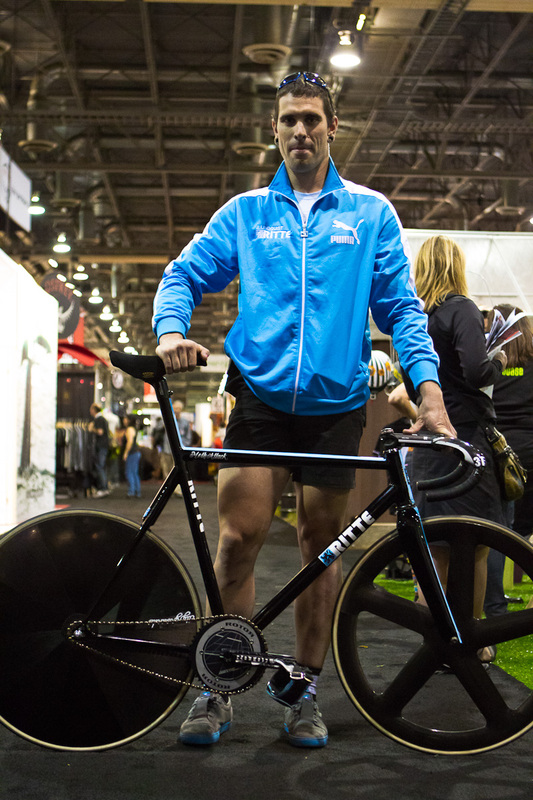 Jack at Interbike 2011 with his custom Ritte Racing x Moth Attack track frame. Photo by Prolly. Check out mothattack.com for more info and photos. Note he's riding Look Pedals with hold fast straps so he doesn't unclip with his huge power! 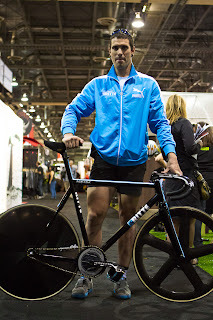 Also dope and noteworthy is he is rocking the DVS/Cinelli shoes...Gangster!